THERMWELL Foam And Foil Pipe Wrap 2 inch X 1/8 inch X 15 ft.
Armaflex rubber pipe insulation is a flexible, closed-cell and lightweight elastomeric rubber material designed to protect pipes against condensation, freezing, and energy loss. It can be used for insulating liquid cooling and heating lines. The closed-cell structure provides excellent condensation and energy loss control. Built-in vapour barrier eliminates need for additional vapour retarder. Microban antimicrobial product protection provides exceptional mould resistance. Self-Seal system makes application easy and reduces installation time. 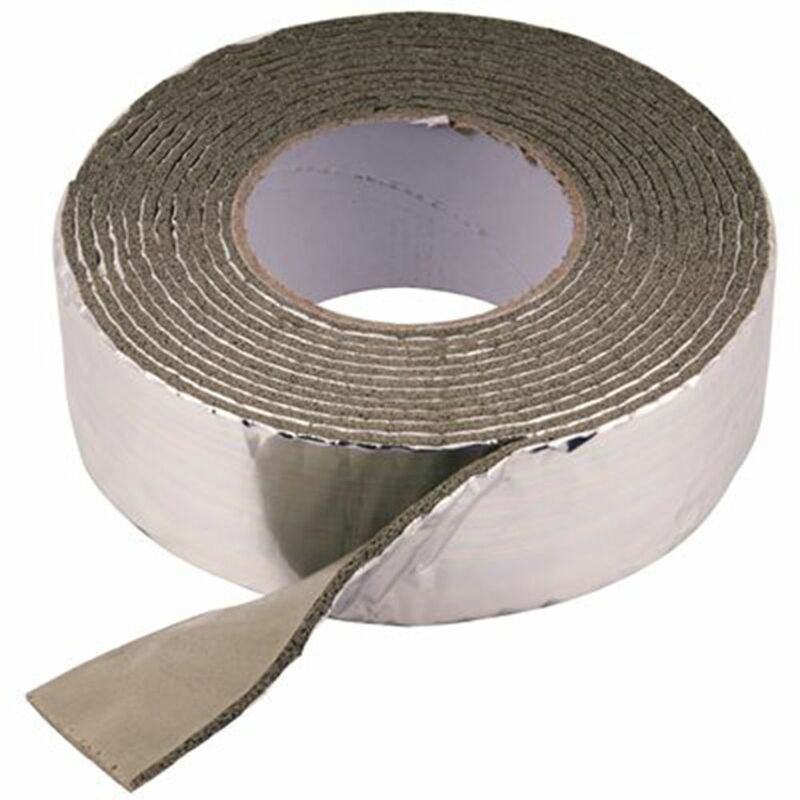 Foam And Foil Pipe Wrap 2 inch X 1/8 inch X 15 ft. is rated 3.8 out of 5 by 61. Rated 1 out of 5 by JD from Overlap failure The foam adhesive side sticks well to clean copper pipe. However if you use the overlapping wrap method, as seen on the instruction, beware that the foam adhesive side does not stick to the foil side of the tape, not at all. So you get an ugly non sealing wrap with big gaps. Very disappointed. If you can use the rubber or styrofoam type insulation split tubes they are much better. Wrap those with the HD all weather tape and you get a great seal and better insulating properties. Rated 3 out of 5 by mljcypress from used to wrap pipes - it was difficult to wrap... used to wrap pipes - it was difficult to wrap and had to cut it into 2-3 ft length and had to use tape to make it contiguous. Rated 5 out of 5 by HomeDepotCustomer from Easy to work with.... Easy to work with. Rated 1 out of 5 by LeakyGasket from Doesn't stick to anything. Had to use electrical tape over this junk to keep it on the pipes. Doesn't stick to anything. Had to use electrical tape over this junk to keep it on the pipes.